Having some extra space for luggage is always a useful thing when heading off on an adventure or holiday. 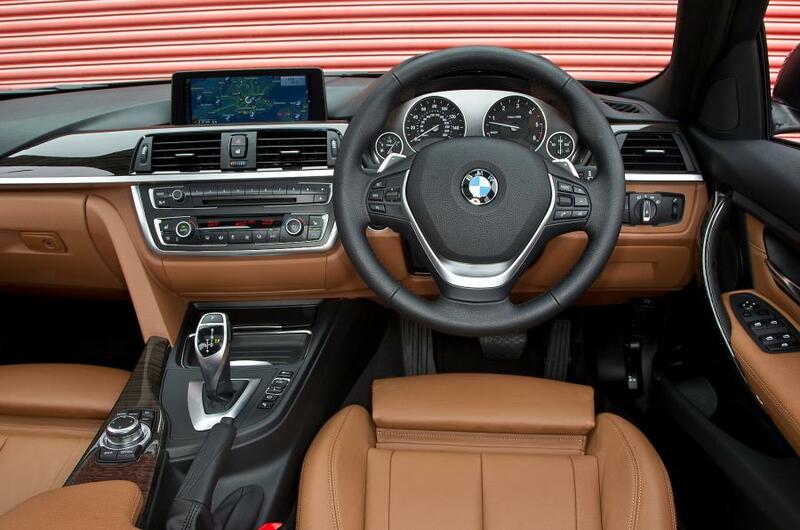 If you have a small family, and are on the lookout for a new station wagon that is frugal, roomy and fun to drive, then the mid-size BMW 3 Series Touring which is powered by an excellent range of new diesel engines is well worth having a look at. New for 2015, the facelifted BMW 3 Touring Diesel models are roomier than their predecessors, and so boast more practicality. You’ll also note the 2015 3 Series Touring has a refreshing update to the car’s back end. Its appearance is even more sophisticated and even more like a smaller 5-Series Touring wagon. As you would expect, the 3 Series Diesel Touring models are pleasant to drive, and do boast driving dynamics that are class leading. Looking at the engines that make up the new BMW 3 Touring Diesel models, there are many to choose from. Kicking it all off is the base engine which runs the 316d Touring. This model uses a 2.0-litre diesel that boasts a maximum of 85 kW of power and a very useful 260 Nm of torque. For everyday driving, the 316d Touring is more than adequate at providing reliable and lusty performance in a smooth and refined fashion. Fuel efficiency is excellent, with BMW promising around 4.7 litres/100 km on average for fuel consumption. Next in the ranks is the 318d Touring with 105 kW and 320 Nm. Also a 2.0-litre diesel, the uprated motor is nice and flexible, and has enough get-up-and-go to complete the 0-100 km/h dash in under 10 seconds for the manual version. 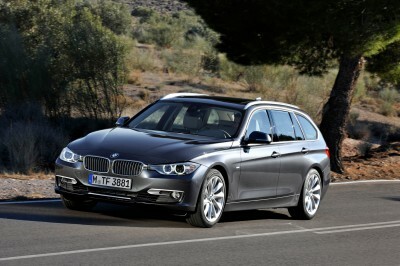 Following the 318d is the 320d Touring, which has 120 kw and 380 Nm. Interestingly, this 2.0-litre version has an average fuel consumption of around 4.6 litres/100 km. 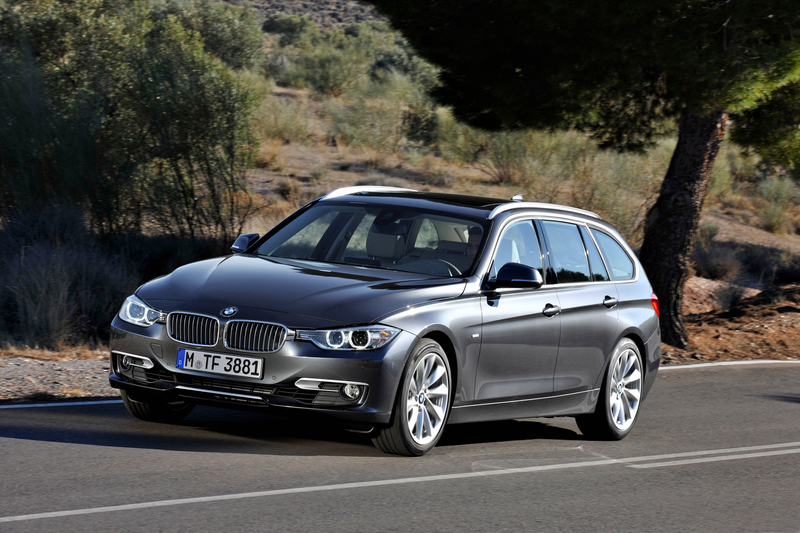 So more power, more performance with similar fuel economy to the 316d Touring. Next is one of my favourite engines that is found in the BMW 325d Touring. Power is well up – 160 kW and 450 Nm. The 325d engine does feel quick and effortless, and again it is an uprated version of the excellent 2.0-litre turbo found in the other 2.0-litre 3 Touring models. The 325d has a top speed of over 220 km/h and a 0-100 km/h sprint time of around seven seconds – more than adequate for creating a smile or two! Where BMW 3 Touring performance gets serious is the step up in engine size to the potent 3.0-litre turbo-diesel found in the BMW 330d Touring. A gem of an engine boasting a limited top speed of 250 km/h, and a 0-100 km/h dash of under six seconds. The extra performance does not seem to eat into the economy figures too much. BMW suggest that the 330d can return around 5.1 litres/100 km, on average. For a BMW 3 Touring flagship, BMW has an upgraded version of the 3.0 turbo-diesel in the form of a BMW 335d Touring, which is very quick! There is a BMW 3 Series Touring ED Plus model which offers great sporty looks and outstanding efficiency – with an average fuel consumption around 3.8 litres/100 km and CO2 emissions as low as 99g/km. Practical wagons make for an easier time on a weekend away. Just having that extra space at the rear for carrying more stuff makes things a whole lot easier. The 2015 BMW 3 Touring models all offer 495 litres of luggage space with the seats up. You can find a maximum of 1500 litres when the 40:20:40 split folded rear seats are all flat. This is more than the equivalent Audi Avant and Mercedes models can offer. Also available are some xDrive versions which provide AWD traction (320d, 330d and 335d). Standard models are powered by the rear wheels. Supple road holding provides loads of grip on all models, and all drives are engaging and enjoyable. Inside the new BMW 3 Touring Diesel is a modern interior with all the mod cons one requires in this day-and-age. And if you want more luxury and even more frivolousness, then the SE models provide a special edition that offers exclusive touches inside and out. 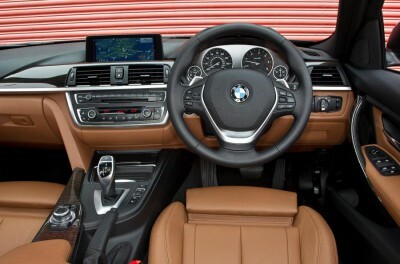 Anthracite upholstery and a Satin Silver trim feature is standard, while the SE models also herald BMW Business Navigation with Traffic Message Channel, BMW Teleservices and BMW Emergency Call. Sport and M Sport trim alternatives are available. All BMW 3 Touring Diesel models get an electric bootlid, and there is a very handy storage compartment beneath the boot floor. New and exciting; the BMW 3 Touring is. Definitely one of the best in its class, and is always a driver’s favourite. For any more information on the BMW 3 Touring Diesel, or for that matter any other new car, contact one of our friendly consultants on 1300 303 181. If you’d like some fleet discount pricing (yes even for private buyers! ), we can submit vehicle quote requests out to our national network of BMW dealers and come back with pricing within 24 hours. Private Fleet – car buying made easy!